This past weekend was full of laughter! Last Saturday I started my 4 week Laughter Yoga™ class at a nearby yoga studio, and last Sunday was World Laughter Day. As a Laughter Yoga™ teacher I still get so amazed at the power of laughter and how it instantly transforms people. I love it when new participants come into my Laughter Yoga™ class with a perplexed, “I don’t really know what I am in for” kind of look. When I explain to them about what laughter is and how it can bring us to a place of oneness, they immediately see the genius in it. The reason why I wanted to learn this form of yoga is that it’s easy, playful, and non-intimidating. If you can laugh and take deep breaths then you can do it! It can be done literally anywhere. Further, it’s a wonderful way to get people, who are intimidated with the concept of yoga, to get the feeling of blissful mind-body-spirit connection that yoga delivers. Laughter Yoga™ can be done sitting or standing and with no yoga experience. I’ve had the honor of doing this yoga for stroke patients in rehabilitation centers, for seniors, for low income housing residents, cancer survivors, care givers, health care professionals, and even Harvard researchers! As a nurse and a Laughter Yoga™ teacher I get invited to speak at corporate retreats, cancer survivor events, and hospitals. I really enjoy sharing practical information with people so that they can be inspired and reminded to add more laughter to their day. This exercise is perfect for those who can “use more laughter” in their lives. The science of laughter, Gelotology, is a field that has been getting attention from researchers since 1964. Researchers like Dr. Edith Trager and Dr. William Fry are the pioneers in this field. In the 1970’s Norman Cousins, writer and magazine editor for the Saturday Review, was diagnosed with a painful and debilitating autoimmune disease. When his own doctors could not help him cure or manage his pain, he discharged himself from the hospital and checked into a hotel where he used high doses of Vitamin C and laughter to cure his disease. He found that 10 minutes of deep belly laugher gave him 2 hours of pain-free sleep. 1. 1 minute of deep hearty laughter is equivalent to 10 minutes of rowing a boat or jogging! 2. Deep hearty laughter is an aerobic exercise. 3. We can “Fake it til’ we make it.” Our mind doesn’t know the difference between fake and real laughter. We feel good either way. 4. Kids laugh 300-400 times a day. Adult laughs approximate 50 times a day. 5. It’s a social contagion. It’s catchy and people who hear it also benefit from the sound of laughter increasing the positivity in the environment. 6. Deep hearty laughter reduces tension and boosts energy. 7. Deep hearty laughter can boost the immune system. Next time you find that you’ve run out of time to work out or if you are feeling low, why not try laughing? Start with a “fake” laughter and just keep going until you start feeling better. You don’t have to wait for someone to make you laugh out loud (LOL.) You can get started anytime. Remember, whether it’s fake or real laughter your body will respond to it and you will begin to release your stress and tension and pretty soon you will start to burn calories. Yes, with laughter you can boost your happiness and burn calories within minutes. Interested in more ways to sustain a high level of positivity in your life, contact us at info@ultimatehealingjourney.com to find out. We can work together in helping you reach your dream of living a happy and healthy life. Here’s a simple stress reduction technique that is perfect for any age, I call it the Dirty-Water-in a-Plastic-Bottle technique. I recently demonstrated this technique to a group of 6th graders that I’ve been teaching mindfulness based learning to in Boston, MA. It was actually great timing that I did this because the school had just finished their first week of standardized testing. All the kids’ (and the teachers’) energy levels were so high from preparing and performing, that the stress level in the school was palpable. Needless to say, the last thing that my students wanted to do that day was to sit down and learn about mindfulness from me. Those kids were “done” with learning that day. That’s why it took me some time to get them to listen to my lesson, which incidentally was on stress. Between you and me, I was getting stressed too because I could not get them to simmer down. I felt my level of control over the class slipping out of my hands quickly! Just when I thought it was hopeless, I changed my lesson plan by taking out my super-dee-duper stress reduction contraption sooner rather than later. I needed a way to hook them onto my lesson and it did the trick! When I took out the plastic drinking bottled filled with a water and soil mixture the class stopped and asked what I had in my hand. I told them what it was and why I brought it. Some of the kids were “grossed out” while others were intrigued. I explained to them that this murky bottle of water was like our minds sometimes. It is filled with the mixture of positive and negative thoughts making it difficult for us to pay attention and to feel calm and in control of our actions. Furthermore, I told them that the key to decreasing our stress and seeing solutions more clearly is becoming mindful to our present state and knowing how we are feeling. I reminded them that mindfulness was all about paying attention and being aware of what’s in front of us, around us, and within us. Moreover, I emphasized that the best way to start feeling better, especially from the week they just had, was by allowing things to settle down (like the dirt in the bottle) and using the power of our breath to reduce our stress. With this in mind, I shook the bottle of muddy water while the whole class watched the muddy vortex swirl around in the bottle. While we watched it swirl around and around, I had them participate in a deep breathing exercise. I encouraged them to continue the deep breathing exercise until we noticed that all the dirt had settled at the bottom and that the water had become clear. This became a powerful visual aid because they were able to see that by becoming aware of their stress, they could stop engaging with the stressor and start deep breathing exercises to regain their sense of self control. This Dirty-Water-in-a-Plastic-Bottle technique that I taught them made them feel relaxed, and they were able to concentrate more on the rest of the class. It really worked! This technique is perfect for anyone as a way to reduce stress. The Dirty-Water-in a-Plastic-Bottle technique is a great recycling project to do and possibly one of the simplest stress reduction techniques to use. Add items 2 & 3 into the empty plastic bottle. Dry the opening of the bottle, apply super glue, and twist cap tight. Allow the glue to dry for about 1 hour. It’s that easy! You now have a homemade stress reduction tool that will surely help you and others feel better during those chaotic and overwhelming days. Is stress leaving your feeling stuck and unable to move towards the life of your dreams? Contact me at Debbie.ultimatehealingjourney@gmail.com for coaching to help you gain more clarity, and confidence to move towards the life of your dreams. I love this time of the year because it symbolizes new life and new beginnings. One of the best activities to do this season is a Spring Clearing Detox. This will surely help you shed some old heavy habits that have been weighing you down and keeping you from moving faster towards the life of your dreams. Unlike the standard detoxification formula that cleanses the impurities from our physical bodies, my Spring Clearing Detox technique clears out the impurities from our energetic bodies. In a nutshell, this technique gets rid of old limiting beliefs and thought processes that are making us feel overweight, overwhelmed, and overly tired carrying our work-life burdens. It’s that simple. I started doing this many years ago when my old New Year’s Resolutions were not lasting and resulted in me feeling frustrated. It made me become more critical of myself and created a ripple of poor choices and not-so-happy moments in my life. I felt terrible! That’s when I decided to make simple and small changes. I started evaluating what wasn’t working right and the patterns that created those not right moments. Once I identified them I made a conscious effort to do one thing that would stop the pattern. Pretty soon I started to see my life turn around and my dreams manifest. It was great and my Spring Clearing Detox exercise was born! It’s not too late to honor your 2015 promise to yourself to look good and feel good. The best way to start doing this is to take inventory of some old habits that are just making your life like the movie Ground Hog Day. Every day is the same and you can pretty much predict what people are going to say and when things will happen. I tell my coaching clients to just start with one habit and work towards eliminating it. It’s amazing to witness them as they move from feeling stressed and stuck to successful. New habits start to form and pretty soon the habits become natural and simple for them to be incorporate into their lives. Eventually the new habits allow them to create a happier and healthier life. Here’s how to begin a clearer approach to living an abundant and awesome life. Ask yourself what habit has been keeping you from moving towards your true happiness. Ask yourself what one small thing you can do to start bringing more awareness to that habit. Determine a simple positive habit that you can replace it with that will add more joy and meaning into your life. Spring clearing is tossing out an old habit that’s keeping you from growing. This technique is perfect for anyone who has been feeling stuck in one area of your life and want a way to start moving things forward. This technique has been one of my secrets to automatically manifesting and creating my heart’s desire. Not sure of what habit to get rid of and need coaching for consistent support and guidance to reach your goals? Contact me at Debbie.ultimatehealingjourney@gmail.com today so you can start moving towards the direction of your dreams. Happy February, and I hope that 2015 is being kind and gentle to you. I think that we, as adults, deserve to give ourselves a “Ferris Bueller’s day off” day to just kick back, relax, and be care-free. When was the last time that you did this for yourself? How did you feel when you did it? What did you do that made it fun and fantastic for you? Many people get so stuck on the hamster wheel of their work-life schedule that they forget that they have the choice to get off it. So, here’s my suggestion for you. Create a virtual “hall pass” for yourself to get out and do something that you love. You don’t have to have someone with you do to this. In fact, it might be better for you to just go ahead and take your “pass” and run with it without having to think and talk yourself out of it. Here’s a quick guide to use anytime you feel stressed throughout the day. My mother’s recovery from her double cancer surgery inspired me to create this technique. Two years ago—just about one month after celebrating being breast cancer free for 5 years—my mother was diagnosed with endometrial cancer and lung cancer. It was one of the worst years of my life, seeing my mother undergo so much physical and emotional stress from her diagnosis and myriad of hospital tests and surgeries. As a nurse, I knew how extensive and painful her surgeries were going to be. As a daughter, I was afraid of losing my mother and worried about my father who always relied on my mother. While I did my best to be supportive and strong, “the nurse,” for the rest of my family and relatives, I had moments where I would just break down and cry. Ironically, that year the source of my strength, besides God, was my mother. I felt so much better every time I saw my mother. I recall how she would laugh at herself when her hair was growing back and I remember the countless of times I heard my mother say “thank you.” One of the most memorable times that we as a family said “thank you” was when she got the results from her endometrial, lung, and thyroid biopsy (yup, they found a suspicious area there too) that all of her cancers were not related. This meant that they were not a metastasis from her breast cancer. During each of her surgeries that summer, I would hear her say, “thank you” when she woke up and was able to get up from her bed by herself. She would say “thank you” when she would have enough strength to walk from her bed to the bathroom all by herself. She would say “thank you” when she had a restful night of sleep without bone pain that was caused from her chemotherapy. Her days were (and still are) filled with thankful moments from morning to night. She uses gratitude to fuel every action and every thought. My mother naturally used gratitude as a way to become resilient and to thrive after that long, hard summer. Next time you feel stressed or scared, try this technique that I call, Thank Your Stress Away. I hope you enjoyed this technique. Please share it with friends who might benefit from it. Need extra support in managing your work-life stress? Contact me at info@ultimatehealingjourney.com. Healthy and Happy 2015 to you! This year instead of having a New Year’s “re”solution why not try a “solution” instead? Retire the past, ineffective New Year’s resolution and try something simple and effective. Use a one-word-mantra that best describes what you want for yourself this year—it worked for me and I know it can work for you too. Still not convinced about trying out this easy technique? Maybe these facts can help sway you towards adopting a new solution for a healthier and happier year. Source: University of Scranton’s Survey conducted January 1, 2014 and published in the Journal of Clinical Psychology. I actually stopped doing New Year’s resolutions 10 years ago because I got tired of being too hard on myself for failing to accomplish my long list of personal and professional goals. That year I vowed to create ways to be kinder and more self-compassionate to myself. I decided to let go of the list and just go with a one-word mantra that would make me feel the way I wanted to feel. The word that kept coming to me was “spirited.” To me this word was perfect for that year because it embodied all the feelings that I wanted to have at work and in my life. That year “spirited” meant feelings of: joy, authenticity, play, fun, creativity, courage, and vibrancy that I craved so deeply. To my amazement this word became the solution that I was looking for in all areas of my life. What I found was that it instantly gave me access to the wonderful blend of positive emotions that I wanted when I would think about it. This helped me maintain a positive outlook that allowed me to get more done in less time, leaving me with more time for self care and time with those I care about. My mantra helped me become more mindful and productive in all areas of my life. This one-word-mantra technique became a game changer for me, and I have been doing it ever since. My one-word-mantra has: reminded me of my promise to myself, instantly given me clarity when I felt overwhelmed, energized me when I was feeling low, empowered me when I felt insecure and scared, and uncovered some hidden gifts and strengths that I didn’t know I had. This one-word-mantra technique contains many magnificent surprises for those who choose to practice it. 1. Breathe: Take 3 deep breaths. 2. Ask: How do I want to feel this year? 3. Notice: What word keeps coming up? 4. Smile: Did the word make you smile inside and out? If yes, then go with it. If no, keep going. 5. Pick: Decide on the word. There is no such thing as making a mistake here. The only mistake is not deciding and not trying it out. 6. Reminder: Keep your word in plain sight. Put it on a post-it note and place in on your desk top, refrigerator, a door, a mirror, a head board, on the car dashboard, etc. Find quotes that contain the word and the energy that embodies that word. Use the word as part of your new password for the year. Create a vision board with it. 7. Have fun with it and be prepared to be amazed! I hope this one-word-mantra technique will help you make this year one of your best years ever! If you are looking for a more intensive 1:1 coaching support to help make 2015 the best year of your life, contact me at info@ultimatehealingjourney.com today. I am excited to discuss ways that I can help you live the life you deserve. And has that stress been making your feel overwhelmed and exhausted? I know the feeling. I’ve been there and so have hundreds of other people trying to make this season special for everyone but themselves. I will keep this short because I know you are busy. I want to offer you a priceless present that will surely help you enjoy and savor this season. Here it is and it’s called G.I.F.T. Try using this G.I.F.T. technique today to see just how much it will make you feel more focused, clear, and energized. Trying any one of the G.I.F.T. techniques will bring you so much cheer that you will want to keep doing it all the time. Think again! “Free time” doesn’t have to be an all day affair, although it would really be nice it if were. It’s true that when it comes to time the more the merrier matters, but let’s be practical here. The best way to get “free time” is by accessing it in small burst during the day or even during the week. This moment of time can be as little as 5 minutes or up to 30 minutes. Be imaginative and spontaneous when you do this. Remember, the whole idea behind this is to add yourself to your busy schedule so that you feel more refreshed, relaxed, and rejuvenated during the day. Of course it is possible. I do this all the time and it has become one of my most priceless holiday traditions. Not only does it give me a boost of energy and excitement, it also helps reduce my stress because I am able to have fun. This technique has helped me become more productive and effective giving me more time to do more for myself at the end of the day. This technique is a great one to help bring the little child out in me and has helped me believe even more in the magic and miracles that are all around us at this time of the year. Start (or finish) a book that you’ve been meaning to read. Buy yourself a special treat from the bakery and savor each bite. Eat a meal without doing anything else. Savor the flavor. Reflect on your achievements and aha moments this past year. Book a massage for yourself as soon as possible. Have fun and pick one of these suggested techniques today to begin making this holiday season one of your best ones ever. Enjoy your gift of precious moments. You deserve it! If you need coaching to help you find ways to add yourself consistently to your busy day contact me at info@ultimatehealingjourney.com today. Or Visit www.ultimatehealingjourney.com to learn how you can achieve the goals that you want. Here’s a wonderful quote that made me stop and remember how I used to run around during the day feeling overwhelmed by the overly busy schedule that I had created for myself. What I’ve discovered and learned (the hard way) is that being busy has a lot to do with my state of mind and my perceived obligations. These supposed responsibilities grew worse when I felt tired or insecure about what was going on at the time. What would tend to happen was that I would either mindlessly take on more to compensate for how I felt, or I would challenge myself (in a form of punishment) to go the extra mile to prove that I was as good, if not better, than the next person. It was a mentality that eventually became a habit for me and manifested in an unhealthy physical, mental, and emotional state of being. This self-defeating habit made me gain more weight than I cared to imagine, made me take sleeping medications to help quite my mind in order to sleep, and made me have panic attacks that would momentarily distress me. I realized that I had to change my way of thinking and start taking care of myself in order to get things done more efficiently. I took on a Time Leadership mentality that changed everything for me. Time Leadership is purposely taking ownership of the time you spend doing that which feeds and fuels your inner spirit. It becomes the very essence of which you do any business so that your day is filled mindfully with things that are in alignment with your overall personal and professional mission. Understanding this allows one to have full control over where you choose to spend your time, who you want to spend it with, and what you choose to do with it. It is feeling connected to your heart’s desires and your very own version of success. It is a way of mindfully and passionately engaging with your schedule. Different from time management, Time Leadership places you in the captain’s seat. Time management places you among the crew, running around and taking care of more than what you are supposed to do. Time leadership allows you to stay long enough in one place to reflect, reframe, and react appropriately to your day. I share this concept that empower today’s busy people to find easy ways to add themselves back into their schedules during my work-life balance programs. Basically, one can say that Time Leadership is akin to being Heart Led. Knowing your own body and stamina is one of the most important ways to gauge how to best schedule your projects and unleash your genius. If you are a morning person, try to complete all of your creative or complex tasks before noon. Socrates couldn’t have said it any clearer when he said this quote. Knowing yourself allows you to better control what you think, say, and do with your time. Inquire within! Search yourself for what is truly giving you the sense of busyness; we can easily become conditioned into a habit of saying that we are “busy” when we actually aren’t. Yes, there will always be something for us to do—that is life. But my challenge to you is to question yourself when you start saying it out loud. You might just be surprise when you ask yourself what it is that you are really busy with—it might not seem as much as you think. 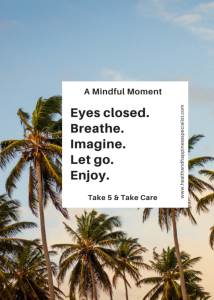 This practice has worked for me tremendously and helped me become more mindful when I do say it. Priorities in life should drive us—not our pains. Time leadership means knowing not only yourself but also what makes you happy. Next time you plan out your schedule, try adding something in there that makes you feel good and is important to you. It can be as small as taking a 15-minute walk outside or a power nap. This small addition can help you ease back into your busy schedule in a realistic way. As you can tell by now, Time Leadership begins with you. It starts with how much you know about yourself and grows from the ways that you purposely add yourself to your schedule. Remember, as the captain of your own ship, you—and only you—navigate your work / life by following your own stars.